Since 2013, Cryptolocker, a particularly nasty form of ransomware capable of locking users out of their own files, has been terrorizing its victims. 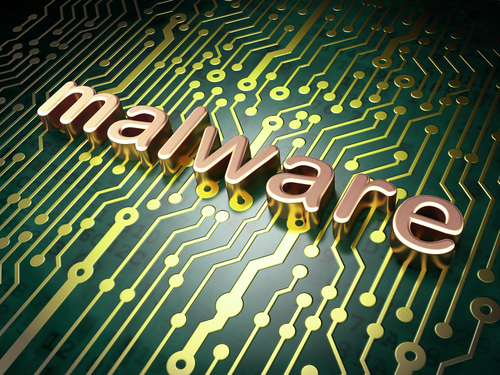 The US Department of Justice, however, has announced that the malware is no longer a threat. Robert Westervelt has more details at CRN. The DOJ has been working on a global operation to track down those responsible for Cryptolocker and the associated Gameover Zeus botnet. They believe they’ve found the responsible party, a 30-year old Russian computer programmer. He remains at large, but the infrastructure used to operate the malware has been dismantled, which has made Cryptolocker incapable of encrypting files on computers it infects. All told, the ransomware and botnet were able to infect hundreds of thousands of devices and cost victims more than $100-million. While Gameover Zeus infections fell by 31-percent over the past month, spurred by a law enforcement seizure of servers used to communicate with the botnet, there remain over 100-thousand infected computers. 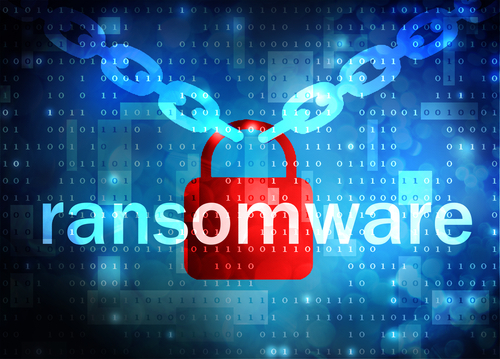 Unfortunately, Cryptolocker was far from the only ransomware infecting users. Copycats and other forms of the malware are still a threat to infect a user’s system, encrypt files then demand a ransom payment in exchange for decryption. Victims of ransomware of this nature have little defense once they’re infected. The best course of action is to make full back-ups of your files regularly so that you can restore them in the case of an infection. Ransomware has actually been on the rise recently thanks to kits being made available for sale by hackers. These kits automate attacks so that those with less expertise are able to execute them. If any of your devices are suffering from a malware infection, or other issues, call Geek Rescue at 918-369-435. When it comes to setting up and effectively managing your company’s IT infrastructure, there are a number of decisions to be made. Unfortunately, there’s also plenty of bad information being peddled by so-called experts and vendors. At Tech World, Roger A. Grimes published a list of “promises that don’t deliver” concerning specifically IT security. Avoiding these misconceptions helps you create a more effective infrastructure. The idea of software that is unbreakable, unhackable and totally secure is naturally attractive, but it’s a myth. Even the most painstakingly crafted applications contain flaws that eventually allow them to be hacked. A popular cry from vendors is to tout software as unbreakable, but in reality this only invites more trouble. Publicly claiming that software contains no vulnerabilities only places a target on that software. Many times, this software ends up being routinely attacked and being one of the least trusted applications available. Encryption is a valuable security tool, but it’s incredibly difficult to create strong encryption. There are many who claim to offer unbreakable encryption, but with few exceptions encryption is hard to break, but not impossible. One characteristic that suggests a vendor’s encryption is not worth your money is the promise of thousands to millions of bits for the key. Typically, strong encryption tops out at 2048-bit keys. Anything larger is unnecessary and actually gives intelligent attackers more opportunities to find flaws and break the code. Million-bit encryption would also require a large amount of data and be difficult to send anywhere thanks to prohibitive file sizes. This myth is a little more well-known than the others but it also leads to a large portion of successful attacks. The truth is that no one is ever truly, full secure. No antivirus is capable of catching ever possible attack and malware before it happens. 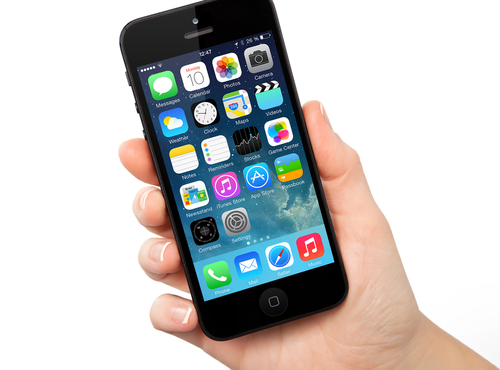 Most won’t even be able to spot every piece of malware already installed on a device. The belief that a perfect antivirus program is possible, however, leads to irresponsible actions. Users put themselves in harms way because they believe their antivirus program will protect them from anything that comes along. If you want a perfect antivirus program, don’t rely on it. The better the user’s behavior and habits, the more fewer problems you’ll encounter. To get the truth about what’s needed for your company’s IT infrastructure, call Geek Rescue at 918-369-4335. Are Strangers Connecting To Your Wireless Network? Wireless networks have come a long way in the past decade. While you enjoy speeds faster than ever and enhanced security, there’s still an ever-present threat of someone stealing WiFi. More devices connected to your network means slower connection speeds and more bandwidth being used. Andy O’Donnell of About recently explained how to tell if someone is freeloading on your wireless network. Every router has a way to log-in and change settings. If you’re not sure how to do this, check the user guide or search for information online. Once you’ve logged in, look for a ‘wireless configuration’ page or ‘wireless status’ page. Here you’ll find a list of the devices connected to your network. In one column, you’ll see the MAC address, which can be used to determine what type of device is being used. In the next column, you’ll see the IP address. These two numbers help you tell the trusted users from the freeloaders. Take a moment to think about every device in your home that should be connected to your network. That’s every smartphone, laptop, tablet and desktop that’s using the internet. Remember that even a video game console and some cameras might be using WiFi. Now, compare that number to the number of devices listed in the router’s admin interface. If they don’t match up, then you’ve got someone else connected that shouldn’t be. This is where the MAC addresses will come in handy. By using a MAC Vendor look-up site, you’ll be able to determine the manufacturer of each device on your network. If there’s a device found that you don’t own, you can be certain that a stranger is using your internet connection. Having unwanted guests on your wireless network is a sign that your security isn’t tight enough. To remedy this situation, start by enabling WPA2 encryption. Then, change the network’s name and the password required to log-in. Don’t use commonly known words like the names of children or pets. Treat your WiFi password like your bank’s website password. Don’t use full words and mix in numbers and symbols. 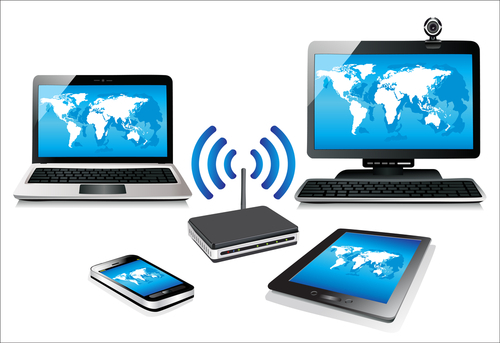 Properly securing your wireless network not only helps keep unwanted devices from connecting to it, it also ensures that data you send through your router isn’t monitored or stolen. For help improving the security of your home network or the one at your office, call Geek Rescue at 918-369-4335. Ransomware is a particularly troubling form of malware. It’s capable of encrypting your files and preventing you from accessing them until you pay a fee. In many cases, the encryption used in these attacks is so strong that users are forced to decide whether to pay or lose the affected files forever. As Jeremy Kirk reports at Network World, one ransomware program makes a mistake that allows users an out. Late last month, a ransomware program called CryptoDefense began victimizing users. It features the same characteristics as other ransomware. For example, it encrypts your files, specifically using a 2048-bit RSA key. It then takes the key needed to decrypt the files and sends it to the attacker’s server. The difference is that, while CryptoDefense asks for a ransom payment, you don’t need to make one to get access to the key. The makers of CryptoDefense designed the malware with a critical hole. The key needed to decrypt the files is sent to the attacker’s server, but it’s also stored on the victim’s computer in a file folder. Users with some know-how are able to find the key and unlock their files without making any payments. Most commonly, CryptoDefense finds its way onto computers via spam email messages. Those that mistakenly open the messages and download the attachment, usually a file disguised as a .PDF, are actually installing the ransomware. The attackers behind CryptoDefense have collected more than $34-thousand in payments with victims in dozens of countries. With this news, users need to understand that they hold the information they need to defeat the ransomware. If you’re infected with CryptoDefense, don’t pay the ransom. If your computer is infected with any type of malware, bring your infected device to Geek Rescue or call us at 918-369-4335. Email has become a tool that most of us check and use multiple times per day. 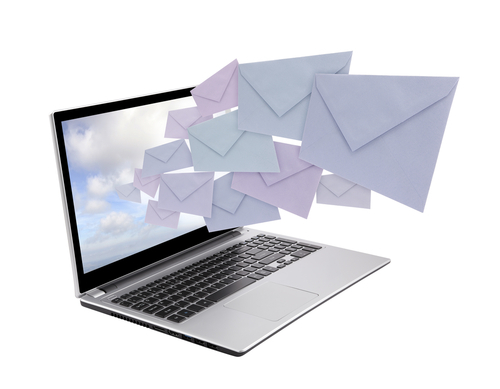 Businesses run on email and it’s vital for many users to have constant access and an ability to quickly respond. Accessibility is one of the primary reasons that webmail has surged in popularity. Services like Gmail allow users to have access from virtually anywhere with very little downtime. As Alan Henry of LifeHacker explains, however, there are still some benefits to using desktop email clients like Microsoft Outlook. While webmail is portable and mobile, it requires an internet connection even to read emails stored in your inbox. While there are fewer and fewer environments where you have to be without an internet connection, there are situations where you’re required to work without one. When that happens, desktop email has the advantage. With a platform like Outlook, you’ll be able to read old messages, organize your inbox and queue up responses to send once a connection is available. This helps you be productive in an otherwise unproductive environment or ensures that an email with valuable information is always available even when your internet connection is having issues. 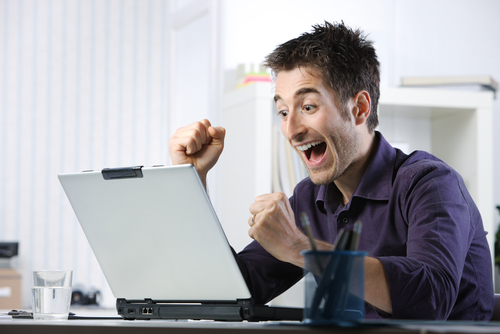 Have you ever considered what would happen if your email account was suddenly deleted? If most users lose access to their account, they likely lose access to many contacts and vital information. That’s why it’s important to regularly back-up everything stored in your email and back-ups are much easier to create and manage yourself with desktop clients. You’re able to back-up messages stored in your inbox and sent folder, all of your contacts and even your folder structure. This way, if you need to change email provider’s or the unthinkable happens to your account, you’ll have everything you need to pick up where you left off. To be clear, it’s certainly possible to encrypt webmail, but it usually requires handing at least some control over to a third party app or add-on. For the most secure encryption, you’ll want to store keys and generation tools yourself. To do that, you need a desktop email client. 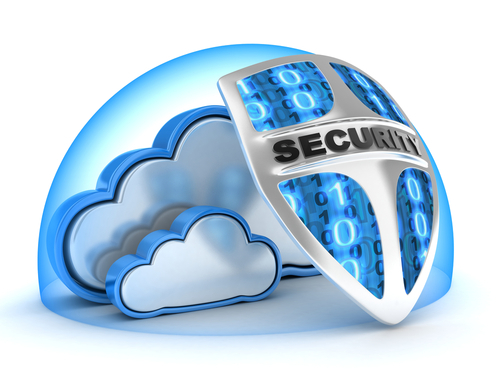 Email is constantly at risk to be hacked or messages intercepted. If you’re sending valuable information via email, you should at least be encrypting it. 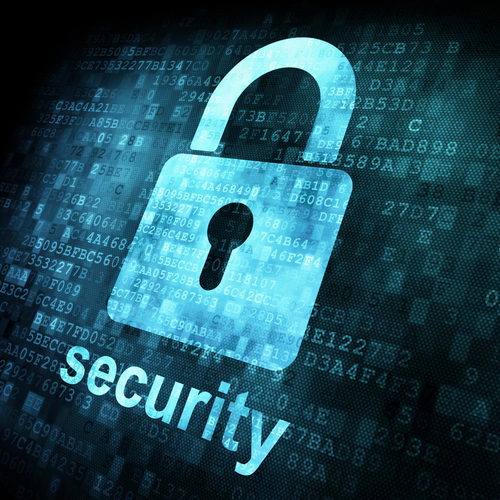 Effective encryption for desktop mail can be implemented quickly. There are pros and cons to both webmail and desktop email so you’ll want to carefully diagnose how you regularly use email to help you decide which option is best for you. Geek Rescue has all the email solutions you need. From hosting email, to setting up your office with Microsoft Exchange, to improving email security and fixing issues, we have the answers you need. Call us at 918-369-4335. It’s common knowledge that computers need to be protected with antivirus programs and other security tools to keep from being infected with malware and attacked by other means. Very little attention is given to protecting a router, however. Wireless routers have become common. A decade ago, many homes used wired connections to the internet, but with the rise of mobile devices came the rise in demand for wireless internet. The more devices are connected to a router, however, the more valuable a target it is for attackers. As many as 70-percent of these routers contain vulnerabilities and suffer from a lack of security. These factors explain why attacks on routers have been steadily increasing over the past year. So, what’s at stake if your router is attacked? A compromised router allows a third party inside your firewall. From there, they’re able to monitor all activity and data being sent through the router. Emails, log-in credentials, credit card information and more is available to be intercepted and monitored. Steve Bell at the BullGuard blog published a few ways to improve your router’s security. Just as it’s important to keep your computer’s operating system and antivirus program updated, it’s important to regularly check for router updates as well. Updates to the firmware may not be automatically pushed to your router, even if the update is able to eliminate a serious security vulnerability. That’s why it’s vital that you regularly check with the manufacturer’s website to see if any recent updates have been created. The lack of security for most users browsers comes from a simple lack of knowledge of the device’s capabilities. 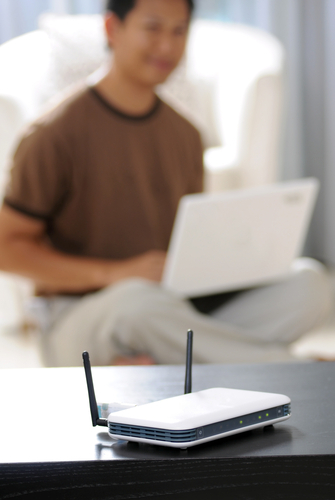 Many routers come with an option to encrypt data, but it may not be turned on by default. Be sure to read through your router’s manual or browse through the settings to find useful security tools. A quick look through settings can not only allow you to enable more robust security on your router, but it also can help you avoid attacks. The first change you need to make after setting up your router is to choose a new name, which is also called a service set identifier, or SSID. You’ll also want to change the password. Routers are sent out with default names and passwords. Attackers know these typical passwords because manufacturers use the same ones over and over. Changing them immediately improves security. Router attacks are difficult for typical users to detect. That opens the possibility that a criminal could be monitoring your activity through a compromised router for months. To avoid that, you’ll want to take the necessary security precautions. If you’d like help setting up a secure wireless network, or have been the victim of an attack, call Geek Rescue at 918-369-0745.